Creating neighborhoods through a sustainable lens is a fresh perspective on modern housing, and is gaining momentum as a green living trend. By respecting the land they’re built on, these planned developments are creating communities of like-minded people and families who understand the benefits of hyperlocal produce while still enjoying the societal comforts of urban and suburban living. Advances in transportation, farm equipment, and synthetic fertilizers were all technologies that revolutionized agriculture, creating exponential growth in productivity and making large-scale farming economical. As farmers settled in vast swaths of land outside of urban areas, cityscapes became dominated by commercialism and industry to satiate the public’s newest demand: convenience. While there have been some brief reprieves from this trend, such as during World War II with folks coming together to share home-grown crops from their “Victory Gardens,” home gardens and local farms became an antiquated part of American culture in the second half of the 20th century. The desire for convenience has unmistakably spurred inventions and innovations that have made our daily lives comfortable, safe, and relatively easy. However, some would argue that food – more specifically gardening and agriculture – is a missing puzzle piece to one of modern society’s most curious questions: what happened to the sense of community? Today, a new type of neighborhood is being designed, built, and populated by families who feel “agrihoods” are the answer to this question, providing opportunities for communities to come together over real food. An agrihood (synonymous with an “agriburbia” or “agritopia”) is a community that takes on an alternative focus to regular neighborhoods. Instead of clubhouses, pools, tennis courts, and coffee shops, these neighborhoods prioritize sustainable agriculture as the centerpiece of a more evolved, connected, and fulfilled life. In addition to feeding the community, these full scale farms are built as multi-use amenities: barns doubling as event spaces, outdoor built-in kitchens, and farm-to-fork restaurants right on-site. There is a communal effort to pay respect to the land, lead healthy lifestyles with a smaller footprint, and use landscaping as a food source in contrast to water-hungry lawns. These neighborhoods often incorporate closed-loop methods of sustainability, solar power, composting, and grey-water systems all leading to a zero waste goal. It is exceedingly clear that homeowners are drawn to these neighborhoods as a reaction to the inundation of convenience and lack of control over our food supply. Today’s society has begun to question the sources, methods and products used, freshness, and overall nutritional quality of the produce and meat picked up at local supermarkets. We want to know where our food comes from! There has also been a shift toward valuing experiences more highly than material possessions, as outlined in this article by Business Insider. 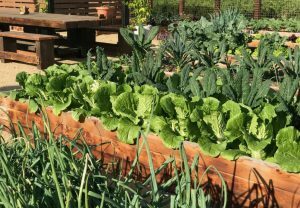 Agrihoods can provide alternative ways to enrich relationships beyond living rooms and fenced-in backyards while providing deep satisfaction in maintaining, growing, and preparing fresh food. A true sense of pride can develop amongst the families and community as the allure of mealtimes is reignited! Agrihood projects come in many forms, from master-planned communities to restorations of abandoned, former industry. The Cannery in Davis is, “California’s first farm-to-table new home community” and an example of a designed development in which residents can prepare dinner with vegetables they’ve grown themselves in the neighborhood, raise their children under solar-powered roofs, and bike to town where locally crafted goods are sold. Many are discovering that these farm-centric neighborhoods can provide the perfect lifestyle balance: community with experiences, respecting the land and trusting your food sources, and living within reach of urban convenience. Sprouting up across America, agrihoods enable us to exist together as a society while treading lightly on our land. 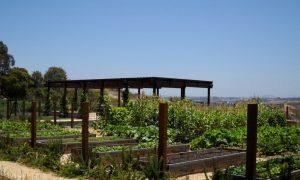 From backyard gardens to designing your next agrihood farm or garden, Urban Plantations is also generating green spaces across Southern California and writing a new chapter in the sustainability handbook.